What I love more than thrift shopping, is to share my passion and be an inspiration so others would try thrift shopping too. Every month I host the Thrifting Atlanta Bus Tours. 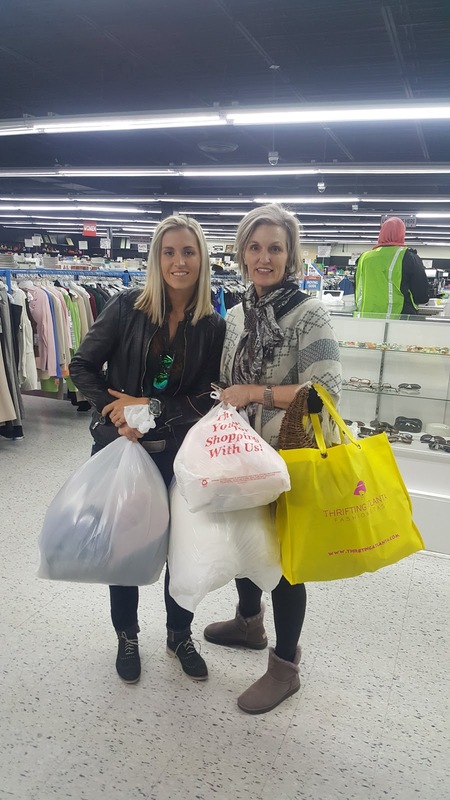 Over the course of the weekend, I take 30 shoppers on a chauffeured bus to shop up to ten thrift, vintage and consignments stores. They enjoy exclusive discounts at each store and get a bag lunch too. But most importantly are the friendships developed during the day. Last weekend we visited the following stores: Goodwill Northside, Goodwill North Lawrenceville, Alexis Suitcase Consignment Johns Creek, My Best Friend's Closet Consignment, Reflections of Trinity Thrift Store, Cherokee Rose Shoppe, Southern Thrift Market, Back by Popular Demand Consignment Marietta and Funky Flair Boutique. Check out a brief photo recap our thrift shopping day. Have you attended the Thrifting Atlanta Bus Tours?